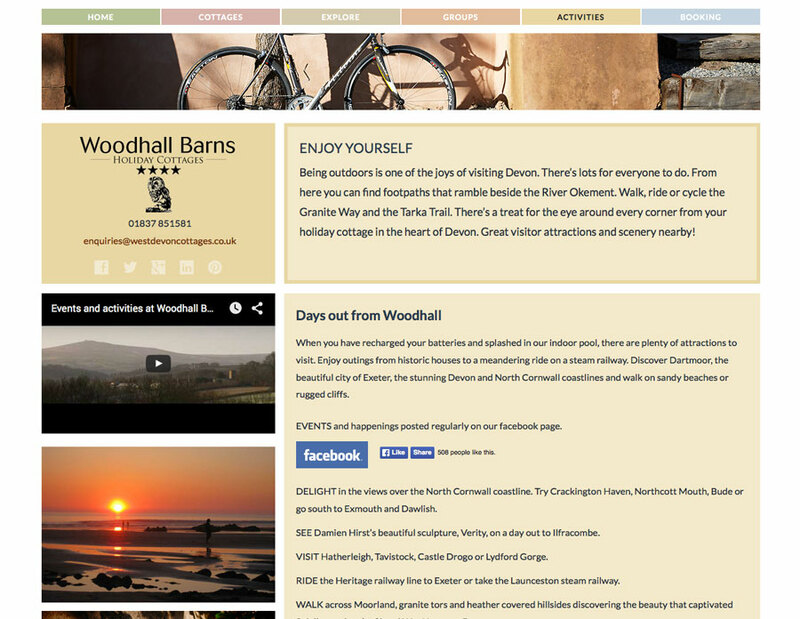 Woodhall Barns self catering accommodation website including styled online booking with super control, responsive design, updatable. 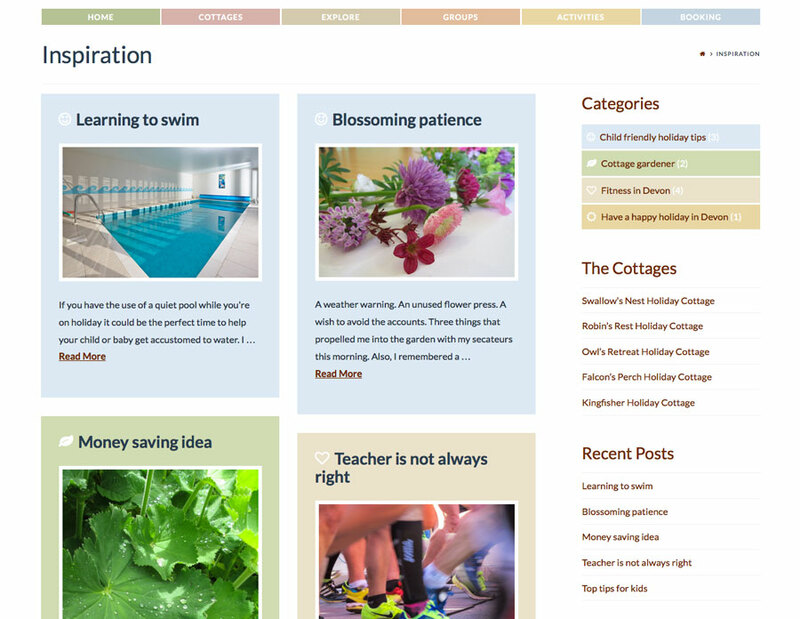 The blog has several categories, the cottage pages include testimonials and direct availability check and booking plus photo slideshow and details. 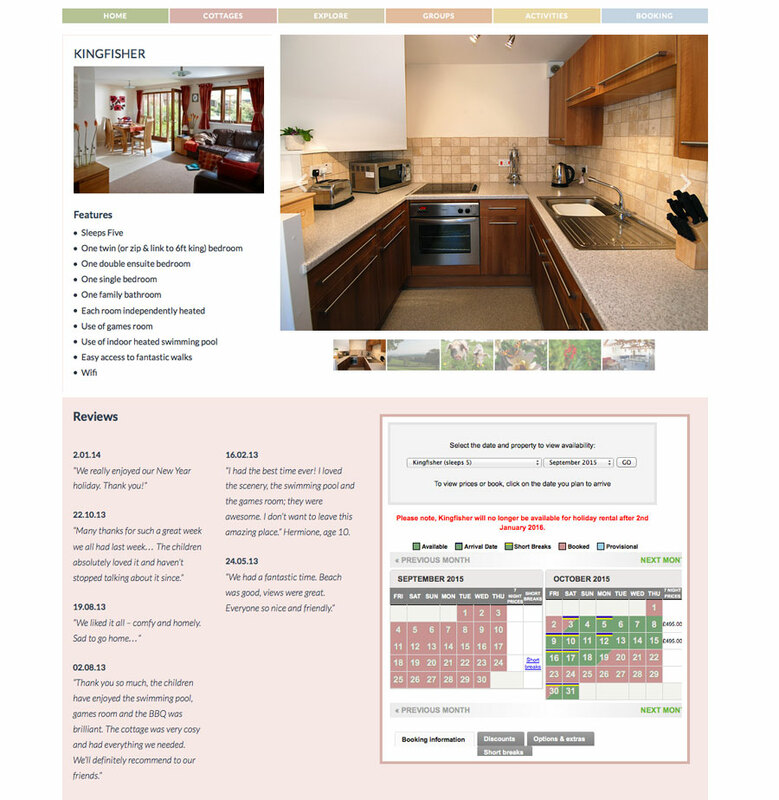 The pages follow the colour scheme of the navigation bar at the top.